Another beautiful beach of Bournemouth which is also a proud possessor of a coveted Blue Flag award is Durley China beach. Often named as the best beach of Bournemouth by many travel portals, this stunning beach is located in the west of Bournemouth’s central beach region. Filled with golden sand and clean sea water spread in front, this beach offers every kind of opportunity to the families to spend at least a half a day outing. For instance, activities like Kayaking, fishing, sailing, surfing, water skiing and wind surfing can be enjoyed on this beach. For assistance, the beach is patrolled by RNLI lifeguard, especially during summer season. They have a prominent watch house on the beach. For your child’s security, lost child center is also there on the beach. Hence, if you are travelling with your kids, you know they are safe when you are on Durley Chine Beach. The beach is wheelchair accessible. Child lost center is located on the beach. The beach is dog friendly. It is a natural attraction; you can visit the beach during morning hours. By car, take left into West Cliff Road. How popular is Durley Chine Beach? 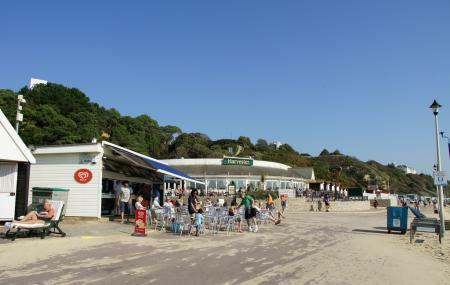 People normally club together Bournemouth Beach and Alum Chine Beach while planning their visit to Durley Chine Beach.